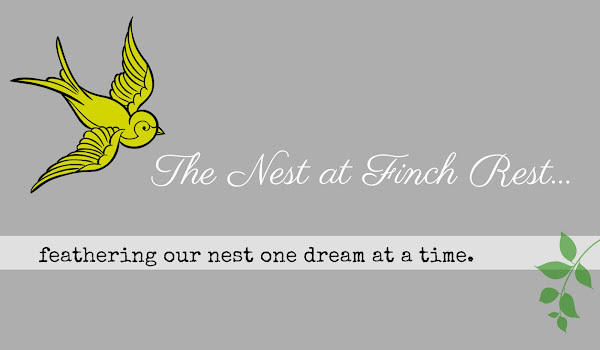 The Nest at Finch Rest: First Day of Autumn- GIVEAWAY! We are currently having the most perfect weather! to give away to one of my readers! regardless of interest in entering giveaway. OK, it's true: I kinda live for your comments! from any other blogger within the last 30 days. 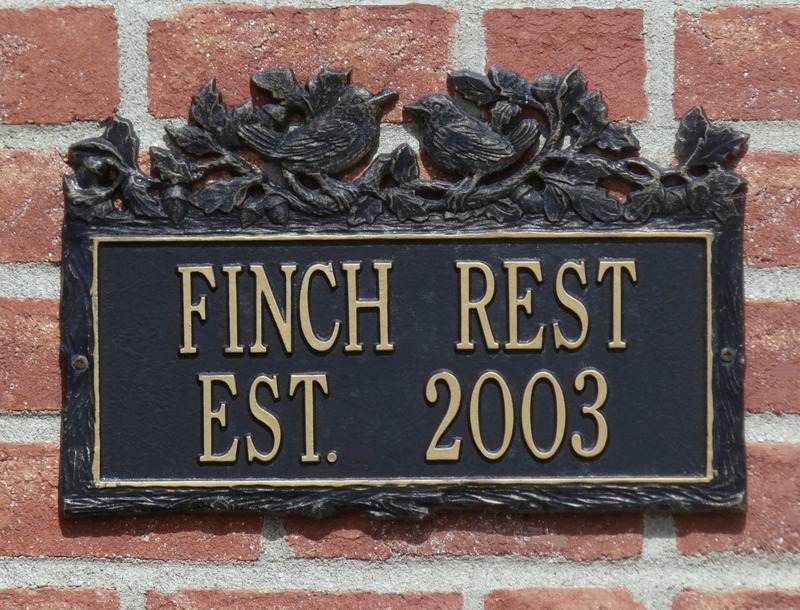 Please be a follower of Finch Rest. Not restricted to US only. on my birthday, Oct. 4th. teased you on a few things on my last post in case you missed it! * The wall hook is propped up on a stand for easier viewing, but it just is wall art with a simple little hook on the bottom - can you see it? It measures approx 9 x 6.5 inches total. The flat painted part measures approx. 6.5 x 7 inches, hook is 2 inches. Hook is metal with green patina from age. What a sweet piece! Please don't enter me though, I am trying to clear out some of the decorating things I have collected over the years lol. A perfect day here too, to welcome autumn! And don't enter me either, for the same reasons as Penny! Have a good week ahead! This is such a sweet piece...since I am moving and downsizing, I will give my chance to another blogger. Thanks so much for such a nice giveaway. I love the sign, Pamela. IT is so pretty and of course would love it, if I win. Our weather is outstanding but tomorrow we are having 90 only for 1 day and then back to fallish weather. You're more up to date than I -- Autumn just slipped up on me! 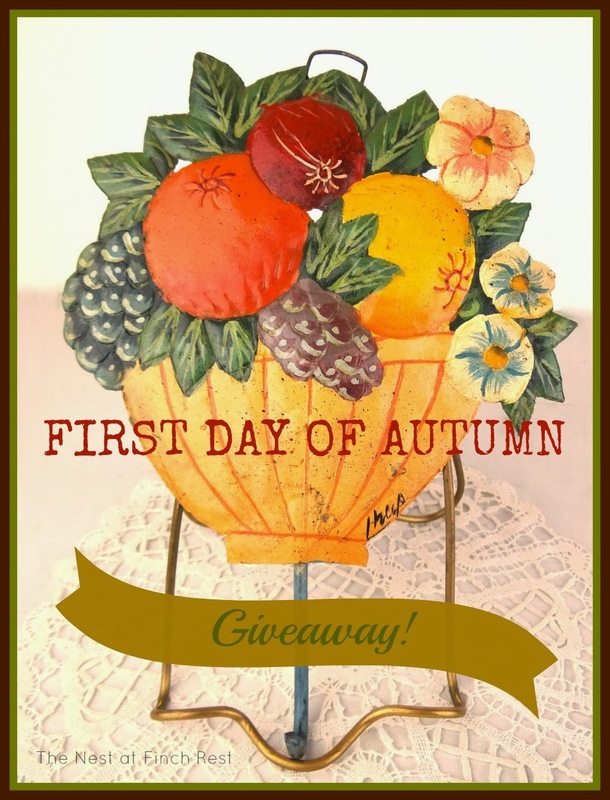 Beautiful piece and nice give-away, I'm still working on my fall decorating. Lovely giveaway and I love fall things. It would go into my kitchen if I won. I am also a follower of yours. We have been having perfect Fall weather, but today it was a bit cold and some areas closet to S.L. even got the white stuff. It didn't last long of course. Love the little wall hook and would love to be included in your sweet give away Michele. Fall is my very favorite time to decorate. I just found your blog via Thistlewood Farm and really like your home décor. I would love to win the wall hook.